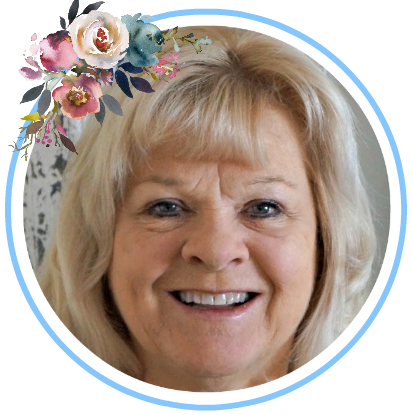 This week Jo is your host. Before we look at this week’s features, let’s see what’s been keeping your hosts busy. Jann from Have a Daily Cup of Mrs. Olson made this darling pumpkin forest. She entered a contest A Mystery Craft Challenge. 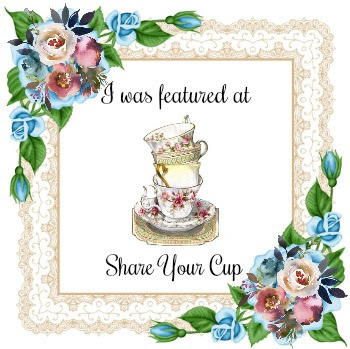 If you like her project, please hop over to Delightfully Noted and vote for her. Prizes will be awarded to the one with the most votes. 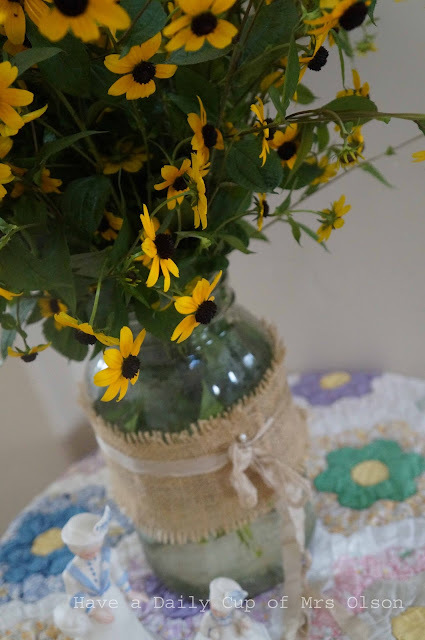 Jann also shows us lovely bouquets that she puts in her Ball jars as well as her pint sweet relish that she has bottled. 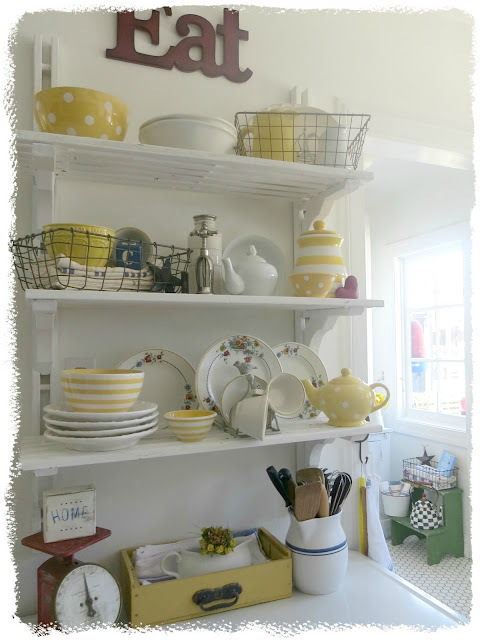 Carol from Art and Sand changes her vignettes in the kitchen from red white and blue to a wonderful yellow. Also see her table decor. Isn't this darling? Carol has the cutest things for her displays. If you haven't been over to see them you are missing out. 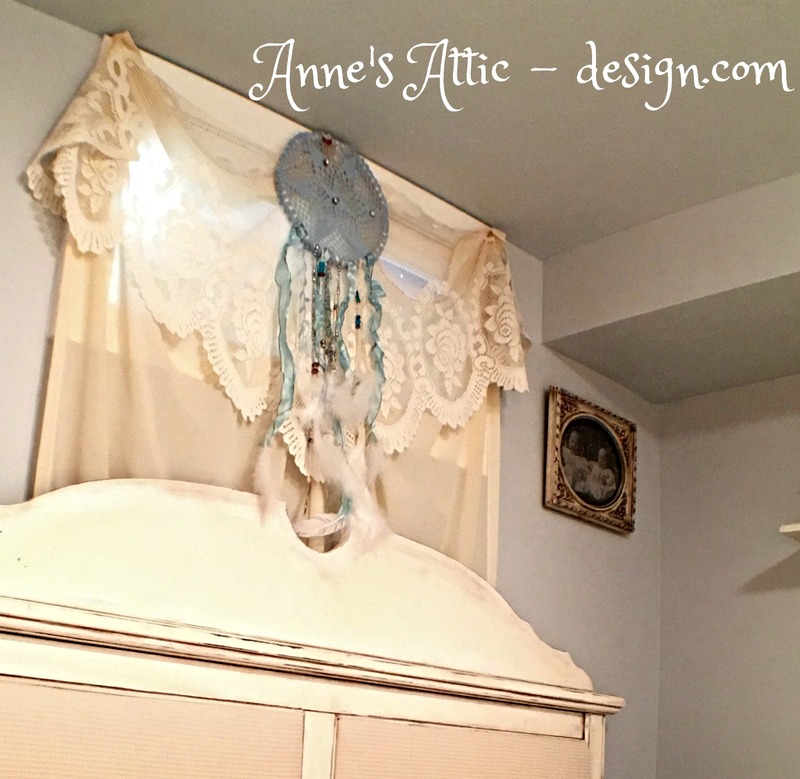 Jo (that's me) from Anne's Attic - design has added a little bit of Fall to her bedroom décor. I also show how to make a very simple dream catcher. Check these gorgeous pumpkins out at Ornate Splendor. They are so beautiful. I just adore Fall and have fallen in love with this stylish vignette at Southern Seazons. 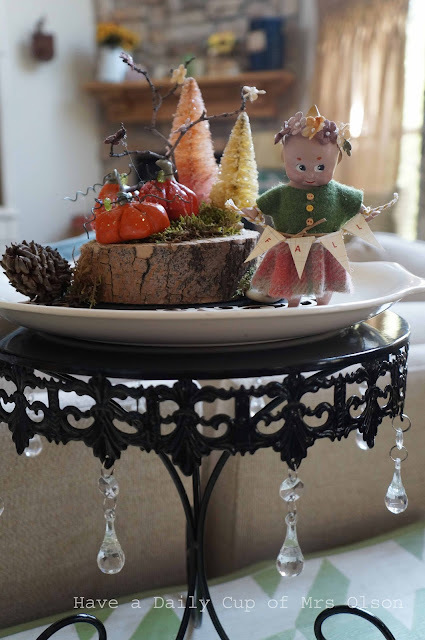 At Home with Jemma shares a darling woodland baby shower. If you are like me you like any chippy paint. 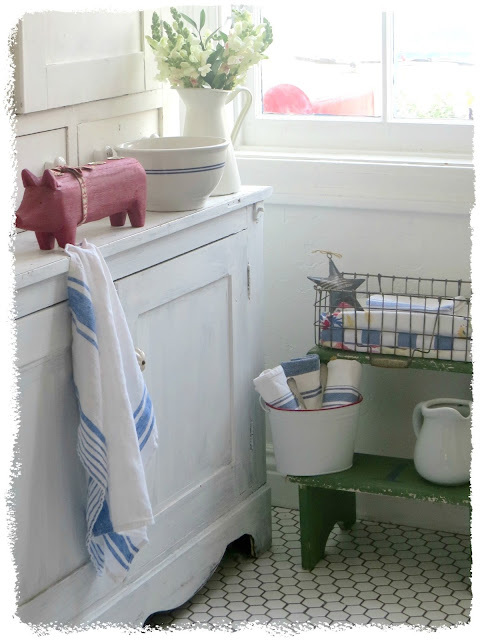 Stop by Artsy VaVa and see what she has done to these shutters. Be sure to grab our button if you were featured. thank you so much for featuring my fall bench. Thanks again for the party every week. Thanks Jann for sponsoring another fun party! Thanks for the party, ladies, and enjoy your long holiday weekend. Thank you for hosting. Hope your weekend is great! Thank you for the linky today. I'm glad to join and I can see so much fall inspiration already! What wonderful featured guests posts, dear friend! I'm lovin' that yellow and white in the Kitchen! 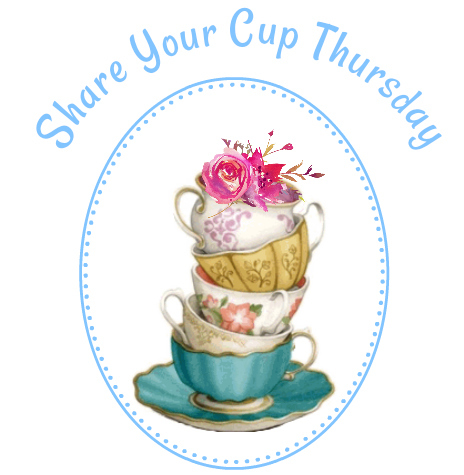 Thank you for hosting Share Your Cup Thursday! each week! The pumpkin forest is so incredibly cute. What a creative idea. Thanks for hosting such a great party, Jann. I hope you have a fabulous week. Thank you so much for featuring my pumpkins! And thank you for hosting too. 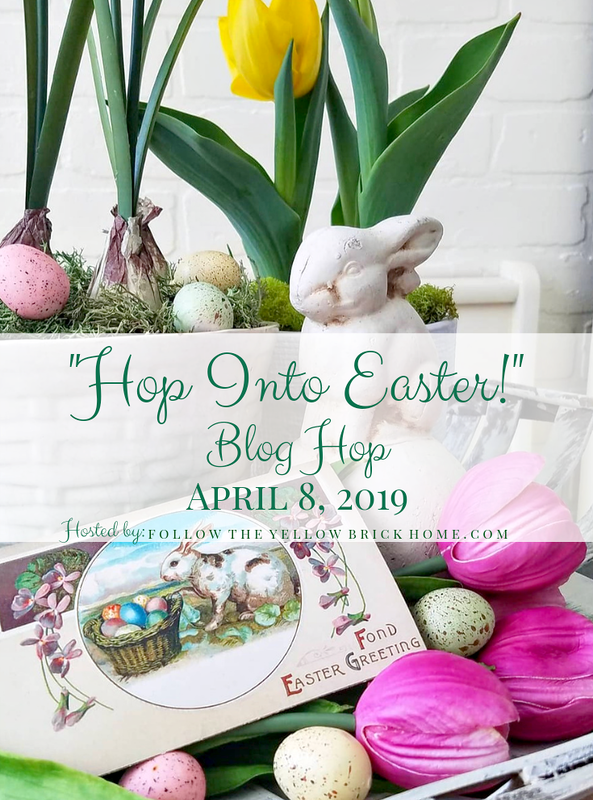 thank you so much for the lovely features and for hosting me too ! Good Morning Jann and Team! Love your happy spot in the world. 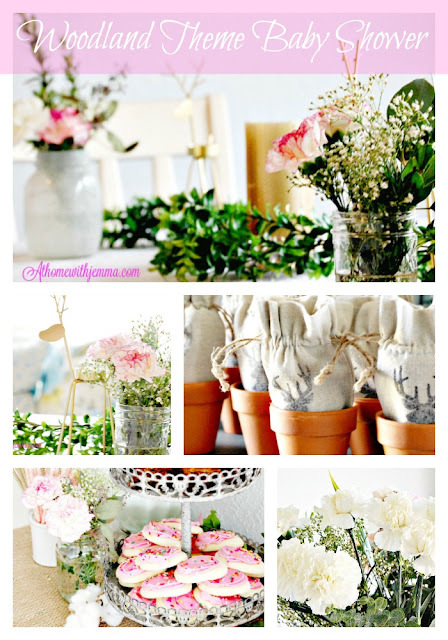 Thank you ever so much for featuring my Woodland Theme Baby Shower! Have a great weekend and thank you for the party. Thanks ladies for another delightful party! Hi Thanks for coming by my Wordless Wednesday post. I hope you can come back and link. 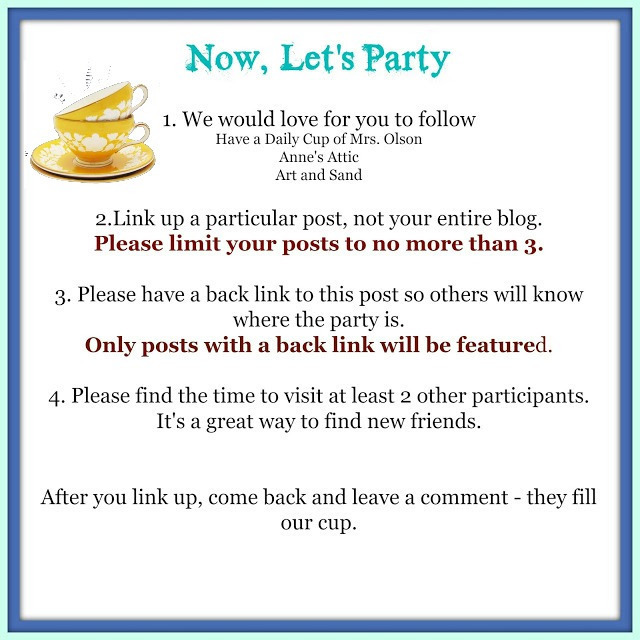 Link your Fall posts and your party! I just want to move into that yellow and white kitchen! Glorious! 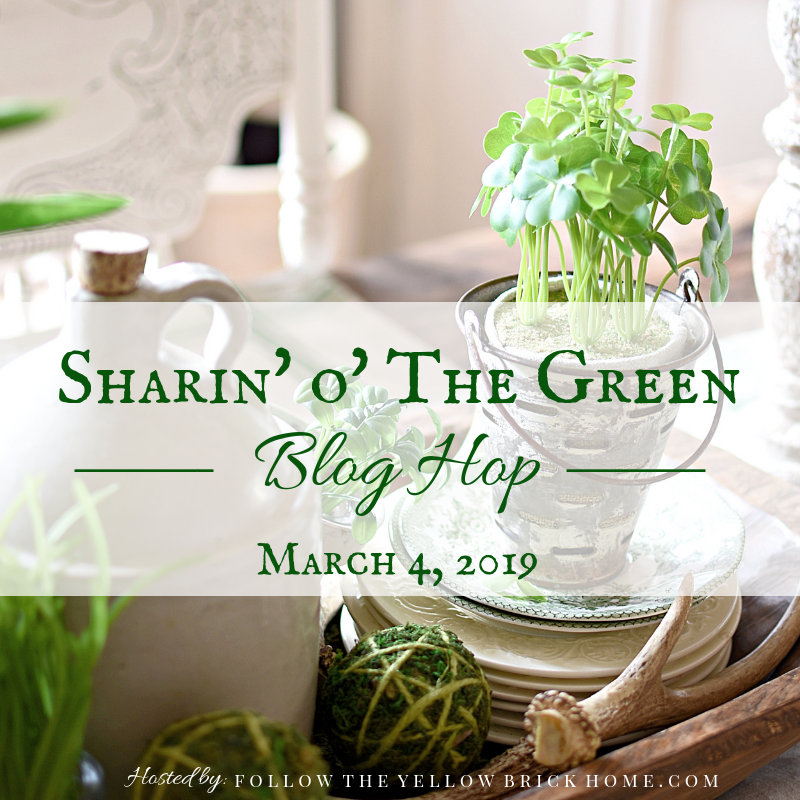 Thanks so much for hosting this week -- all entered and ready to blog hop! Thanks for the party, Jann! Thank you so much for hosting Jann! Thank you so much for hosting! Have a nice long weekend! Thanks for hosting, Jann! Happy weekend! 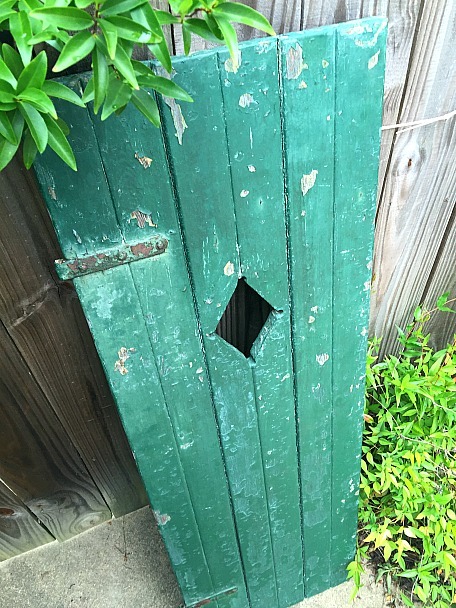 Thank you so much for featuring my shutter makeover! I hope you're enjoying a fun holiday weekend.